The symbol sector is growing in spite — or perhaps because of — the continuing migration of supermarkets into the increasingly valuable symbol space. In Scotland, sales in symbol stores were up 3.9% last year, compared to just 0.5% in unaffiliated stores. Convenience stores are well-placed to facilitate the rise of the ‘little and often’ shopping mission, and there is no doubt that the increase in symbol groups has led to increased sales across the convenience sector. For retailers who are currently unaffiliated, there are massive benefits to joining a symbol group, and likewise, for retailers who are currently with one group, there has never been a better time to shop around. The most recent IGD figures show that there are 15,173 symbol stores in the UK, up 1.6% on the previous year, while unaffiliated stores are -0.7% to 15,173. While the discounters grow market share and supermarkets expand into the convenience space, independent retailers are becoming more reliant on their wholesalers and the symbol offerings they provide. This guide to what fascias and franchise operations have to offer is an ideal introduction to what is out there — and for retailers looking to join a symbol group, the next dozen pages will provide you with a brief overview of what is available from many of the major groups. According to the 2015 Local Shop Report, there are 5,602 convenience stores in Scotland, with annual sales in excess of £3.7bn. Scotland has more shops per head than any other part of the UK with one shop for every 946 people. The vast majority of shops in the convenience sector are owned and operated by small business owners or ‘independents.’ Together independents operate 75% of the shops in the sector. The ‘symbol’ groups are predominantly groups of independent retailers trading under a common customer facing brand – familiar symbol group brands include Spar, Costcutter, Londis, Nisa Local, Premier, Mace and Best-one. There are more than 16,000 UK shops run by independent retailers that choose to trade in this way. In the UK, independent retailers (non-affiliated and symbol) continue to make the biggest contribution to the overall sales of the sector, in addition to having the highest number of stores by a significant margin. In short, it’s a good time to join a group. The last couple of years has seen diversification within the sector, with many groups now offering multiple options to retailers depending on their store’s demographic and size. The premium My Costcutter from Costcutter Convenience Stores being one example, while at the other end Booker’s Family Shopper has managed to blur the line between c-store, discounter and pound shop. The market has also been shaken up by franchises. The launch of One Stop in Scotland has created an option that was never previously available, and so competition intensifies. One Stop has launched nine stores in Scotland over the last year. The Tesco subsidiary has opened company-owned and franchise stores, which gives independent retailers an entirely new concept. With huge buying power and insight into shopper habits, One Stop is set to grow in Scotland. The ‘pros’ column for retailers considering joining a symbol group is undoubtedly packed. 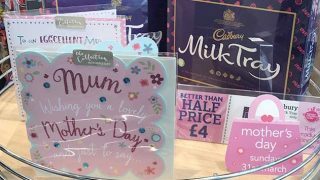 There are more fascias than ever before; major symbol groups have launched different fascias for different types of stores, in different areas. There is more precise targeting that provides retailers with exactly the type of business support they need. This understanding that one size simply does not fit all has allowed certain groups to expedite their growth and their store numbers. Benefitting from the buying power of a group is the single biggest advantage cited by retailers, but beyond that there is the marketing support – with more groups spending big in this area and TV campaigns becoming more prominent. Independent retailers can see their brand appear on prime-time TV slots, something no unaffiliated store could dream of. Premier is the UK’s number one symbol group with over 3,200 stores nationwide. The group is committed to delivering more profits for retailers and a better shopping experience for consumers. Premier has delivered double digit growth for fourteen consecutive years. Premier continues to advertise on TV. Premier is advertised every day which will be seen over 100 million times. The TV advert features Premier’s famous Mega Deal promotions along with retailers to emphasise the local aspect of Premier Store. As well as this, retailers also benefit from a full promotional programme covering all categories of fresh, frozen, grocery and impulse to ensure great value for shoppers to drive footfall into stores. This market leading promotional package, along with own-label and price-mark-packs, really drives the value message to help Premier retailers grow their business. Premier works hard to ensure that retailers have the best choice of products to suit their individual store. This includes both Euro Shopper, Booker’s entry level exclusive own-brand and Happy Shopper, the mid-tier option. This is complimented by working closely with branded suppliers to ensure the best choice of price marked packs so shoppers can clearly see the great value available. Backed by Booker, the UK’s leading food & drink wholesaler, Premier retailers can take advantage of delivery at cash & carry prices, as well as having the ease and convenience of shopping at any Booker branch. ‘Spend & Save,’ where retailers can save up to 4% on their non-tobacco purchases, is also popular with Premier members as this delivers real savings and adds to their bottom line. Premier does not operate any membership or joining fees and installs the fascia and imagery free of charge. A wide range of additional services such as recycling, energy savings, free Epos and drop shipment are also available that have been specifically created to add value and keep operating costs low for Premier members. 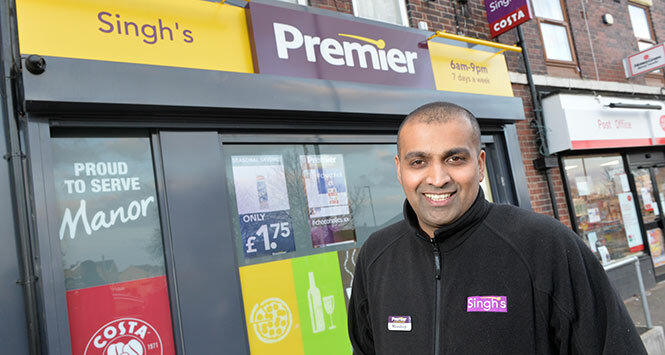 The group continues to go from strength to strength and its relentless focus in increasing choice, lowering prices and improving service has helped Premier members deliver fantastic convenience stores. For more information call Premier on 01933 371246. With more than 2,600 stores and £5 billion buying power, our scale gives you the competitive advantage needed to thrive locally. It’s the sort of buying power other Symbol Groups would love to have. It means we can drive prices down across all ranges – from tobacco and alcohol, to chilled, fresh and grocery goods. And as more and more retailers join, our buying power goes from strength to strength. Whether value, range or service, we score the best in a recent poll of shoppers. Our stores tap in to the shopper needs of today with 10,000 lines, including our award winning Independent own brand, fulfilling every shopper mission. Whether customers want to grab a spot of lunch, a fresh coffee, pay a bill, pick up a parcel or fill a basket for tonight’s dinner, our stores are super convenient and great value for money. Simply Fresh and Costcutter have brand awareness of up to 93% so put our name above your door and see your sales soar. No matter what your type of convenience store or local market, we have a retail brand for you. We’re here to help you succeed and we will help you create an exciting and contemporary retail environment and provide advice on how to merchandise your stores for maximum sales effect. What’s more, we make it easy for you to do business with us. Our pricing is simple, transparent and incredibly competitive with no membership or missed order fees, no surcharges and competitive rebates. With two-thirds of adults in the UK owning a smartphone and 90% of 16-24 year-olds having one a strong social media presence is key to reaching shoppers. We have taken the lead on social media and proximity marketing in the convenience sector, helping our retailers to engage with their customers and drive footfall and sales in their store. 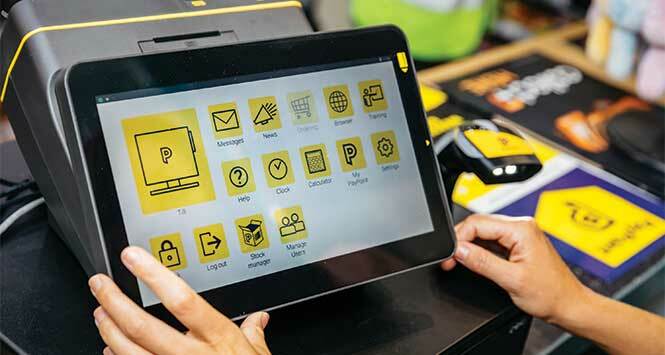 We place technology innovation at your fingertips and transform modern retail with state-of-the-art systems that make life easier. We offer the latest in-store technologies that shoppers demand like easier payments via Apple Pay and Contactless. Our cutting edge Activ Technology systems, including ActivCPoS, ActivOC and retailer portal ActivHUB, have been developed to make your ordering process hassle free and our ActivMOBILE app allows access to all of this information on the go. We’ll actively help you to run your store, your way, and protect your independence. Our retailers get the power of our brands and group strength, but run their stores the way they want to, offering the best of both worlds. To find out more reasons why you should join Costcutter Supermarkets Group call 01904 488663 or visit www.16reasons.co.uk. Nisa offers Scotland’s retailers the complete package to enable them to grow and develop their businesses, regardlesss of the size or location of the store. Nisa provides a complete retail support package comprising a strong retail-focussed team, an enhanced category management system, a bespoke staff training facility under the Retail Academy banner, and a comprehensive marketing package incorporating bespoke leaflets, POS material, instore radio and national advertising. Nisa knows community involvement is key, and our members are able to support their local area through Nisa’s Making A Difference Locally charity. 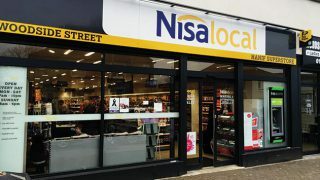 In the last year, Nisa has developed its Store of the Future 2 store format with retailers averaging double digit sales uplifts post conversion. 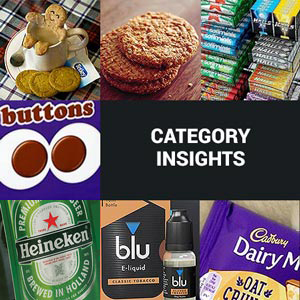 The analysis behind the development of the new formats was based on careful consumer research examining shopper missions by location and demographics. Nisa’s flexible model provides an unbeatable breadth of range, with a 98% availability rate. This is supported by Nisa’s award winning own label range, Heritage, which provides retailers with over 800 SKUs which have been reformulated and repackaged to ensure great quality products at affordable prices. Through Nisa membership, retailers can also source local products and have them delivered direct to store but invoiced centrally. This is all delivered by Nisa’s industry leading supply chain: 99.9% of deliveries are made on the day and 95.2% successfully made on time. Perhaps most important of all is Nisa’s unique mutual model. Nisa is owned by its members so retailers also earn rebates and can enjoy surplus profit share and dividend payments. Joining the Nisa group is made as stress free as possible with support from skilled staff in all areas of retailing. Minimum case drop sizes are 100 chilled & frozen and 300 ambient per week. The requirements for Loco is a minimum of a five year contract. Nisa can deliver up to six-days-a-week. Retailers need to have an existing business with an acceptable balance sheet or a start-up business and a sound business plan. Complete the form on http://www.join-nisa.co.uk/join.aspx to join or call our development team on 0800 542 7490. 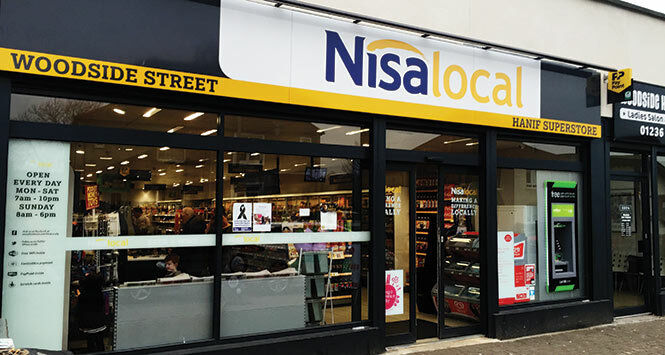 Retailers can operate under four symbol fascias: Nisa Local, Nisa Extra, Loco and dual-branded. Alternatively retailers can trade under their own fascia. Order capture – place orders directly on the site or via an integrated EPoS system. Deals – place advanced orders for deals. POS generator – create dynamic POS material directly from the site. 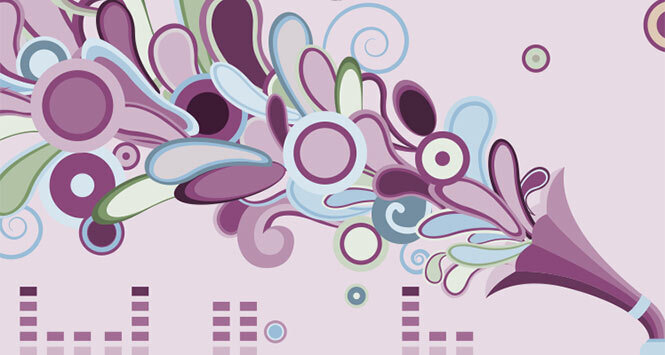 Mobile app: to view current deals and product information. Delivery tracking app – to track deliveries in real time and see when it will arrive at store. Secure site where retailers can track and manage their Making a Difference Locally charity fund accruals and create requests for payments to be made to local causes. Epositive Evolution is a new web based EPoS solution that allows in-store operations to be managed and fully integrated into Nisa. Covers POS, stock control, delivery management, ordering and pricing. Includes mobile app to check sales, cashier performance, voids, ordering plus much more. Bestway Batleys managed symbol group has had an exceptional year in Scotland increasing sales by a massive 15% continuing its impressive position of the country’s fastest growing major symbol group. The group is investing heavily in both business development and sales personnel to ensure that members receive the best possible service to help them develop their stores. 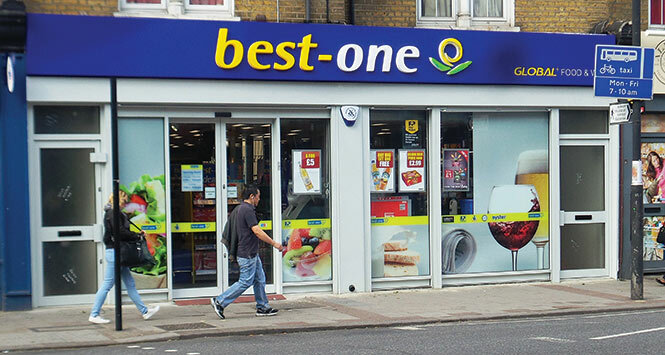 Best-one’s sales in Scotland continue to rise despite the group’s rationalisation to 155 stores. 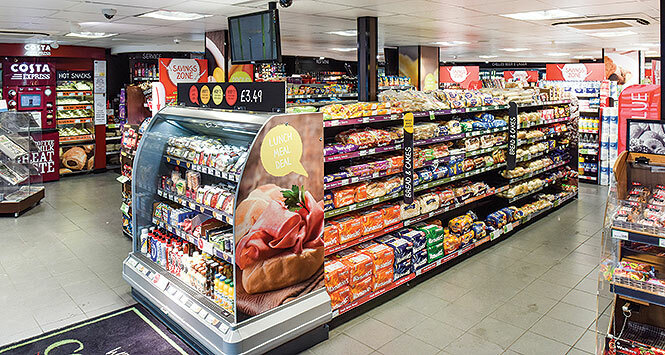 Destination categories such as chilled and fresh are driving this growth with sales of chilled in to Best-one stores in April more than doubling over the corresponding period in 2015. Eighty percent of all chilled and frozen products are available as singles to Best-one retailers meaning members can offer the breadth of range required from a modern convenience store but without the added expense of having to invest in depth of range. Scottish delivery hubs can also now deliver up to three times per week to members if required minimising wastage and guaranteeing longer shelf-life. Best-one members receive the most competitive wholesale pricing and rich monthly consumer promotions to engage shoppers. Added to this is the most generous rebate scheme in the sector, My Rewards, which gives members the opportunity to earn up to 5% cashback on their purchases with the average payout per qualifying retailer being over £7,500 per year. For more information on Best-one, contact your local Batleys depot, visit www.best-one.co.uk, email equiries@best-one.co.uk or call 020 8453 8353.